Interesting article about the job and career from a US perspective, many dont understand what we do….even my wife…! The job of a landscape architect is similar to that of a regular architect with regards to the environment and landscape – that is, they shape the landscape to provide a pleasant view, usually accompanying a recent construction of a residential building or a new location. Landscape architects can work both on a small and a larger scale – for example, one may be hired to design something as simple as a pond, or on the other hand, as complex as a park. The job is quite diverse and interesting according to practitioners, and gives plenty of room for creativity. 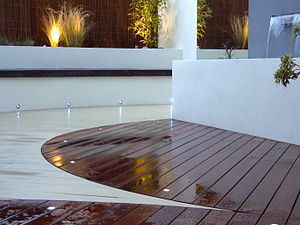 Is a Chartered Landscape Architect and a member of the Landscape Institute.